If you prefer to support this project in a long-term manner, you can choose to donate monthly. Please provide us with your details and we will contact you. 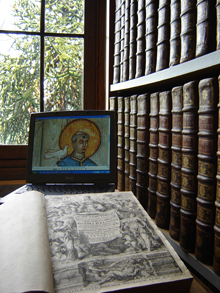 Hagiography deals with the history of saints, the study of their life and work. 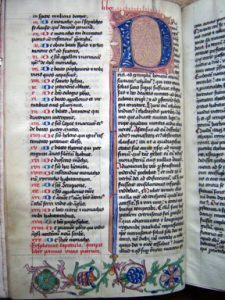 This type of literature played an important role during the first thousand years of Christianity. Hagiographic works represent an exceptional part of our heritage and they have greatly influenced our society. It is vital that we preserve this treasure for future generations and make it accessible to the general public. 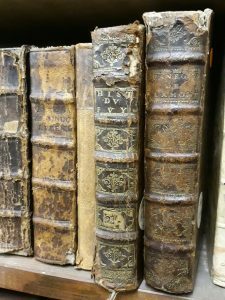 The aim of this project is to restore a number of rare but damaged books that were printed before the 1800s. KBF Canada will work with The Bollandist Society on this project. From 1607 to the present day, the Bollandist’ objective has been to promote awareness and understanding of this unique heritage, by publishing critical works about the history of saints. The Bollandist Society is the leading world centre for hagiographic research and celebrated its 400th anniversary in 2007. It has a specialised library of some 500,000 volumes. Thanks to an online database, the collection is gradually becoming accessible to everyone. By supporting this project, you can choose to restore works that are most in need of restoration, or you can sponsor the complete restoration of one particular work. By check: Mail the check to the KBF CANADA Foundation, mention ‘Projet E201 – Bollandist’ in the ‘For’ section and send it to: KBF Foundation CANADA, 1 Place Ville Marie, Suite 1670, MONTREAL, QC, H3B 2B6 – CANADA.